I think this is LG’s budget range for Europe? I don’t know the details on how it compares with the B/C/E panels but I’d assume they’d be inferior due to the price? At least if you’d like to give OLED a go, this is a few hundred pounds cheaper than the B/C7 varieties. Older specs but old model? This is a 2017 model but only 1080p. It was never launched in the UK so must've been sourced from overseas. It might have a european plug on it. Netflix 4K HDR contentWith easier control and faster access, you can explore and enjoy more of Netflix's premium 4K HDR content on LG 4K TV." PS I have this TV and it's a stunning picture - not interested in apps or all that jazz just need the best 1080p panel to display what I throw it and this is it. 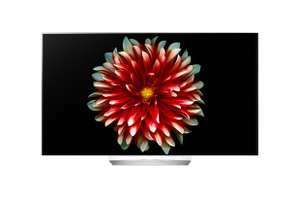 I've been telling myself I'm not getting an OLED until they break the £1000 barrier as I did with plasma many years ago. However, I now have a number of very nice plasma tellys, all of which get equal amounts of use and I figured if I spend £1000 on this, one of two things will happen. Either it will be so much better and I'll want to change all my sets to OLED, costing me a fortune, or it won't be such a great improvement and I'll feel I wasted £1000. Neither option is grabbing me so I think I'll wait a little longer. Seems like a good deal though and hopefully a sign of things to come. I've been telling myself I'm not getting an OLED until they break the …I've been telling myself I'm not getting an OLED until they break the £1000 barrier as I did with plasma many years ago. However, I now have a number of very nice plasma tellys, all of which get equal amounts of use and I figured if I spend £1000 on this, one of two things will happen. Either it will be so much better and I'll want to change all my sets to OLED, costing me a fortune, or it won't be such a great improvement and I'll feel I wasted £1000. Neither option is grabbing me so I think I'll wait a little longer. Seems like a good deal though and hopefully a sign of things to come. I predict this will probably be the last time they will release a non 4k OLED screen of this size. Now would be an OK time to buy this TV because there isn't much 4k content. Lots of people go on about HDR also (which this TV is missing) but that is linked to 4k content in most cases. The only reason you would want a non 4k TV with HDR would be to play computer games. If this TV came out next year it would have to be about £800 and even then I'm sure by next year 4k content will be more prevelant. I've been telling myself I'm not getting an OLED until they break the …I've been telling myself I'm not getting an OLED until they break the £1000 barrier as I did with plasma many years ago. EletriQ have a released a 55" 4k OLED for £999, it uses an LG panel. There is a good chunk of 4K and HDR material on Netflix, Amazon Prime Video and Youtube. better paying the extra £ for the B7 or C7 IMO. 1080p OLED is better than 4k led in my view. Can the 4k fans actually watch any normal broadcast tv without getting a headache or just view wall-to-wall USA tv series ? 1080p OLED is better than 4k led in my view.Can the 4k fans actually watch …1080p OLED is better than 4k led in my view.Can the 4k fans actually watch any normal broadcast tv without getting a headache or just view wall-to-wall USA tv series ? Anyone got one of these? Would be interested in hearing feedback.